Avionics technologies are electronics for operating the spacecraft and its subsystems. The rovers' science instruments rely on the powerful "brain," which is heavily protected. 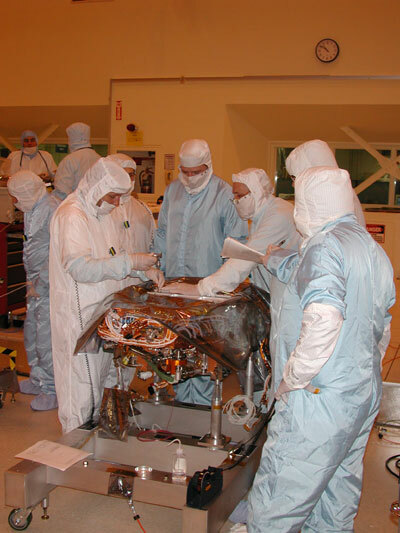 The center of the rover (called the Warm Electronics Box) houses the crucial electronics that control rover movement and instrument deployment. The onboard computer is about as powerful as a high-end laptop computer. The memory is roughly 1000 more than the Sojourner rover from the Pathfinder mission. The Computer in both Spirit and Opportunity runs with a 32-bit Rad 6000 microprocessor, a radiation-hardened version of the PowerPC chip used in some models of Macintosh computers, operating at a speed of 20 million instructions per second. Onboard memory includes 128 megabytes of random access memory, augmented by 256 megabytes of flash memory and smaller amounts of other non-volatile memory, which allows the system to retain data even without power. Just as our brains are protected by skulls and our hearts by layers of muscle and our rib cages, the rover's "organs" are protected in the Warm Electronics Box within the Rover Electronics Module in the center of the vehicle. 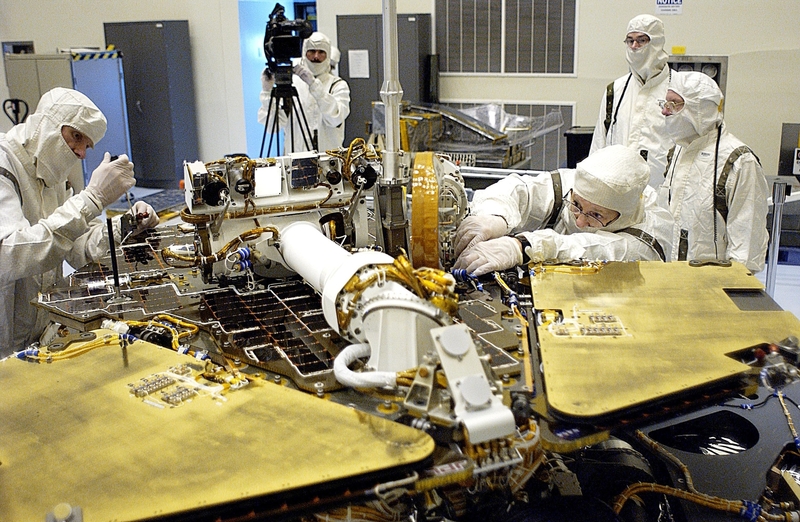 The gold-painted walls of the protective box help keep the vital components warm when nighttime martian temperatures can dip to a nippy -96 degrees Celsius (-140 degrees Fahrenheit). A layer of aerogel also insulates the box. A unique material that is both extremely powerful and lightweight, aerogel is 99.8% air and has earned the name "solid smoke." 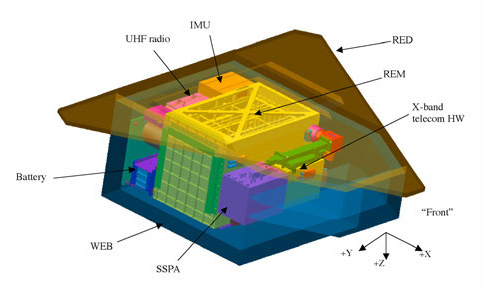 This schematic drawing gives an overview of the vital parts of the rover housed in the warm electronics box, including the batteries, the UHF radio and the inertial measurement unit (functions like an inner ear for balance). The WEB box sits right beneath the triangular rover equipment deck (RED). For balance, the rover also has what can be compared to a human inner ear. The Inertial Measurement Unit estimates the rover's tilt and helps it make precise movements. The main computer also performs regular rover health maintenance. Its software makes sure that all systems are functioning properly and that it can continue to communicate with its Earth-bound controllers.